What we eat can have a massive impact on the health of our eyes. 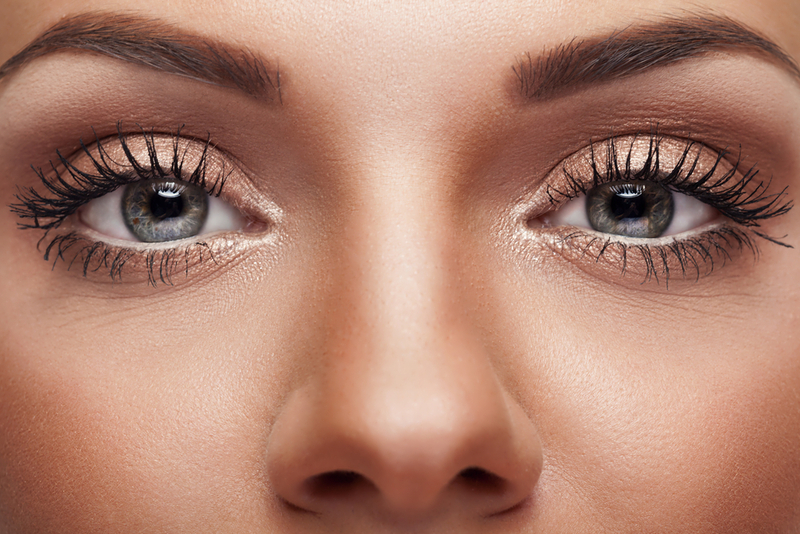 In fact, so key is vitamin A to the health of the retina of the eye, it’s actually called retinol! Excessive exposure to the sun, without wearing sunglasses, smoking, alcohol and a diet high in refined foods can all adversely affect eyesight. The good news is that there’s plenty of nutrients that love the eyes and can really help. 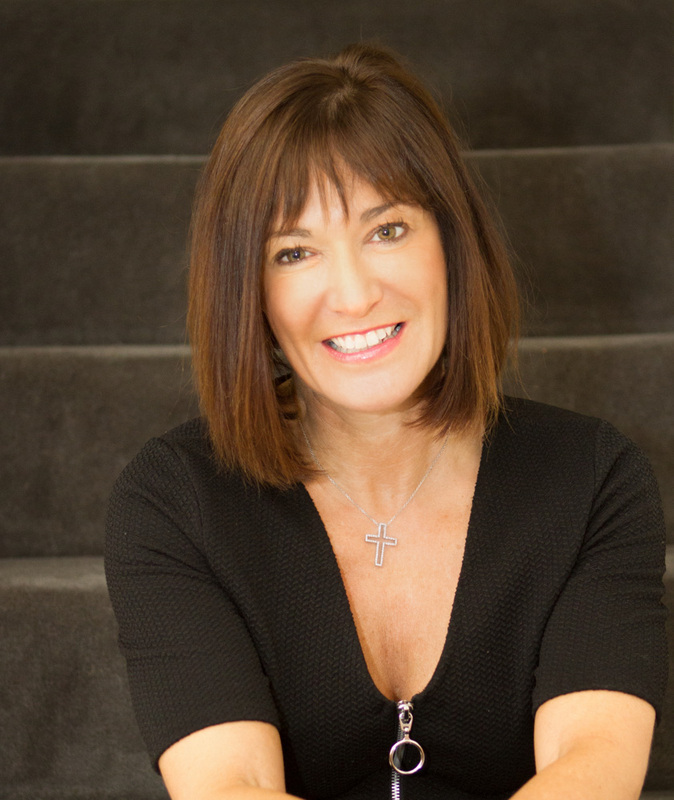 Clinical nutritionist, Suzie Sawyer, shares her top five eye nutrients. Top of the class has to be vitamin A because it’s so key for vision (especially night vision) and all-round good eye health. 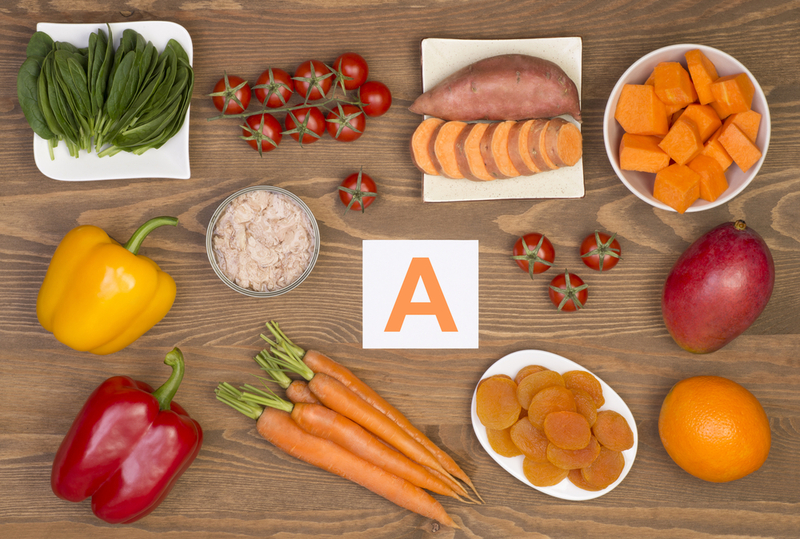 Vitamin A is only found in animal produce, with liver claiming the top spot. Full-fat dairy produce and eggs are also great sources. However, the body also makes vitamin A as it’s needed from the carotenoid, beta-carotene. It’s the yellow, orange and green pigment that gives fruits and vegetables their bright colours. Indeed, it’s also the reason for the old wives’ tale that ‘carrots help you to see in the dark’. The good news is that if you’re vegetarian, as long as you’re eating colourful fruits and vegetables such as peppers, carrots, sweet potatoes, butternut squash, kale, melon and mango, for example, then you’ll be getting your daily dose of vitamin A. There are a number of other carotenoids, alongside beta-carotene, which are equally valuable for healthy eyes, one of these being lutein. Just like beta-carotene, it’s a powerful antioxidant, so it can protect the eyes from ageing and free radical damage generally. However, lutein, which is especially rich in green leafy vegetables such as spinach and kale, helps protect the eyes from damaging blue light that’s emitted in large amounts from electronic devices. Have you found your eyesight deteriorating the more you sit at a computer? 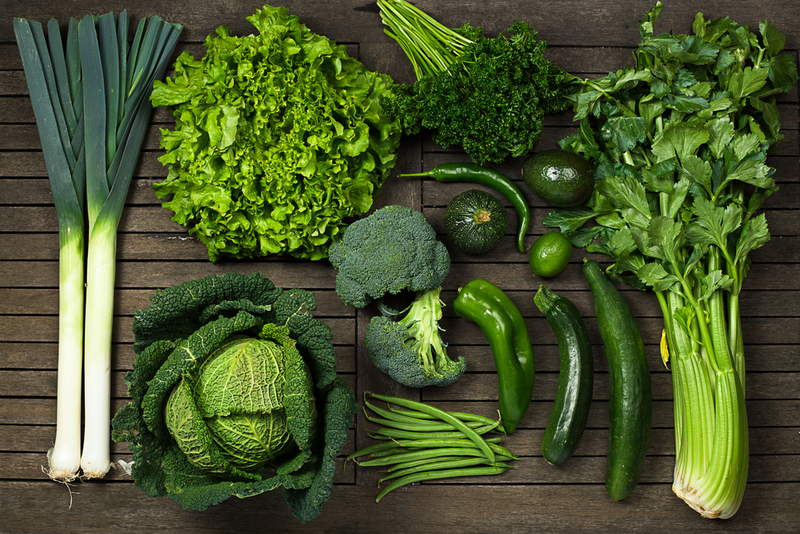 You need to make sure you’re eating something green every day to help protect your eyesight. What are they? In simple terms they’re a group of plant compounds that are very high in antioxidants, protecting the eye from free radical damage, primarily from sunlight, poor diet and smoking. Specifically, anthocyanins help maintain the health of the blood vessels and cornea in the eye. Anthocyanins are high in ‘blue’ fruits such as blueberries, blackberries and bilberries. 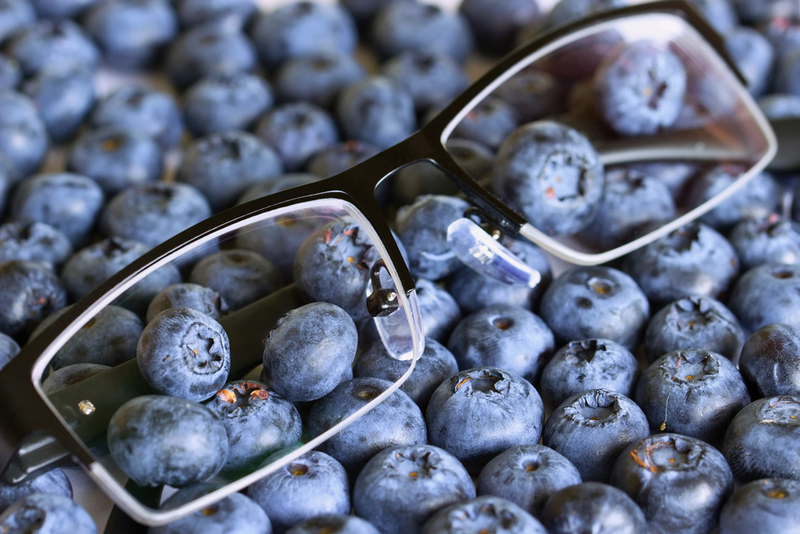 Although bilberries are not eaten as much as other blue fruits, during the Second World War fighter pilots were made to eat bilberry jam because it was found that their eyesight (particularly night vision) improved enormously. Certainly all these blue berries are a great ‘go-to’ snack or a fabulous asset to your morning porridge or muesli. This group of fatty acids are essential within the diet as the body can’t make them. They’re part of our cellular make up and are also part of the eye structure. Indeed, so important are they for eye health that nature cleverly includes DHA (another omega-3 fat) in breast milk. 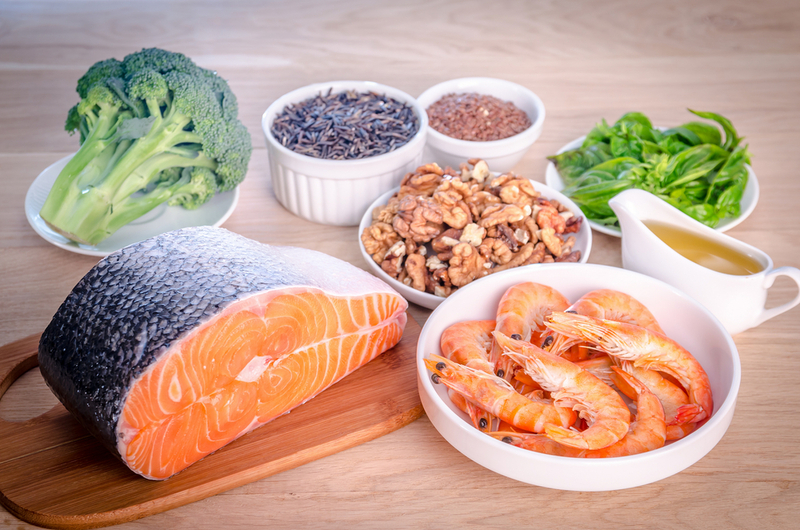 Omega-3s may also protect eyes from the very common condition of macular degeneration, which is a gradual condition that tends to affect older people. They can also help prevent dry eyes – another side-effect of looking at computer and other electronic screens. Oily fish is the best source of omega-3s, but nuts and seeds (especially flaxseeds) are also rich sources. Try to make them a part of your daily diet and your eyes will shine brightly. 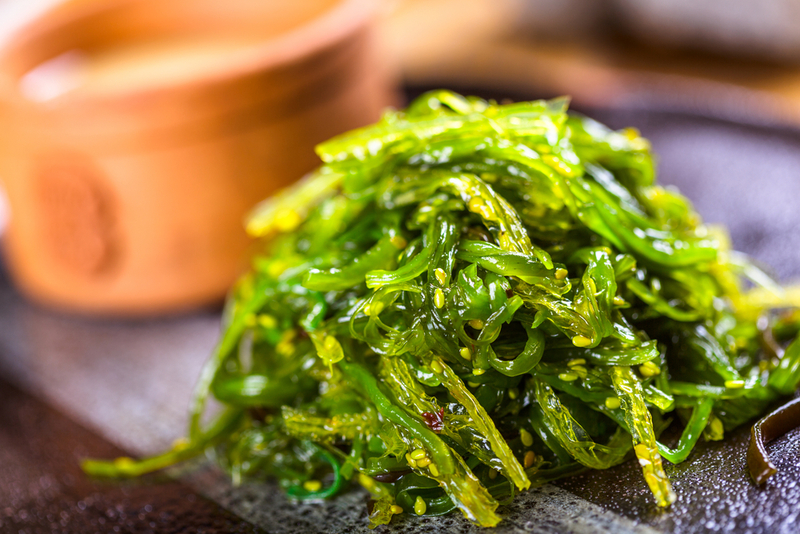 Very much in favour right now, there are some good reasons for seaweed gaining so much in popularity. It’s a rich source of nutrients generally, but also those specifically involved with eye health such as zinc, vitamin A and the essential omegas. Seaweed is a general name given to a huge number of algae and marine life. Indeed, most seaweed that you can now buy in supermarkets will likely contain a variety. Additionally, dried seaweed can easily be added to stews, soups, salads or munched on as a snack. As well as its impressive array of nutrients, it has an anti-inflammatory effect and has the potential to help prevent any complications that may occur after cataract surgery; a common operation, particularly in the elderly which helps restore good eyesight. As you can see, nature has provided us with the wonderful power of sight but has also delivered amazing nutrients to help protect eyesight into old age. ← The importance of Vitamin D this autumn: are you getting enough?